The Patient Support Centre will facilitate cross-disciplinary collaboration and is anticipated to be completed in late 2022. 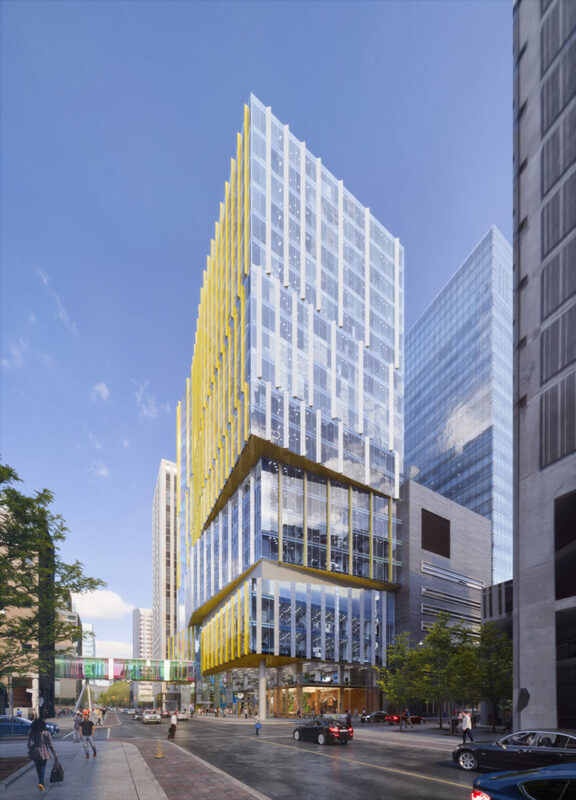 B+H Architects, a member of the Surbana Jurong Group, has unveiled its design for a new 22-storey Patient Support Centre (PSC) located on The Hospital for Sick Children (SickKids) campus in Toronto, Canada. The PSC is the first phase of the Project Horizon – the SickKids campus redevelopment plan, which aims to build an inspired, re-imagined hospital of the future. Led by B+H’s Center for Advance Strategy, the workplace strategy for the PSC is being designed to act as a support system for collaboration, inspiration, and engagement to help strengthen talent performance and foster a thriving organisational culture. The Centre features an undulating façade, blue-ribbon staircase encased in glass, and interdisciplinary education and simulation spaces that will bring physicians, nurses, hospital administration and employees together in a light-filled environment.